“I’m extremely excited,” Tarrant County Elections Administrator Heider Garcia said. “It makes us happy to see people turning out to vote. People are excited to be out there to cast a ballot. Garcia said the crowds were manageable locally on Monday, even as reports were showing long lines at other polling sites across the state such as those in Houston. 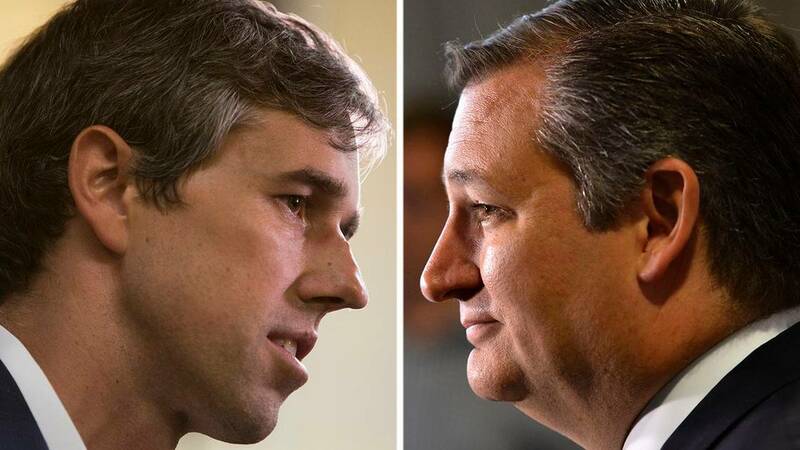 At the top of the ballot is the hotly contested U.S. Senate race, pitting incumbent Republican U.S. Sen. Ted Cruz against Democratic challenger U.S. Rep. Beto O’Rourke of El Paso. Craig Bayless, 58, of Fort Worth said he voted early at the Southwest Sub-Courthouse because he wants to have a voice in an election that has caught the nation’s attention. The Senate race was on the minds of several early voters on Monday. Ventura Quijas and her husband voted early because they want to ensure that Cruz keeps his senate seat. The Quijas couple, who voted at the All Saints Catholic Church Parish Hall, said they supported GOP candidates because Democratic policies hurt Texas. Lilibeth Fuentes headed to the polls with “Beto” on her mind. “It is nice and refreshing to see someone doing something nice for the Hispanic community and youth,” the 23-year-old said. Fuentes cast a vote at All Saints while her mother, Rosa, who is not a naturalized citizen, waited. Several family members planned to vote for Beto, they said. “Us, Hispanics, we are not respected,” Rosa Fuentes said. Teacher Dusty Wood showed up to vote early during a break from work. He too was drawn to the polls by O’Rourke. Sue Moore, another Fort Worth resident who voted at the Southwest Sub-Courthouse, said she has voted in every election since her first one in the early 1960s. On Monday, she voted early to cement her support for President Donald Trump. Moore said any candidate who doesn’t support Trump won’t get her vote. “I honestly feel like he’s up there with Washington and Lincoln,” Moore said. Several voters said voting in the midterms against Trump’s allies was extremely important. Claire Johnson, 30, said she, too, had Trump on her mind and wanted to elect people who will keep him in check. “I am not a fan of Ted Cruz,” she said, explaining that she thinks this might be among the most important elections in her lifetime. This year’s election comes as a record number of people are registered to vote — more than 15.7 million Texans, including more than 1.1 million in Tarrant County. Anyone who wants to vote early can head to any early voting site in their home county, show a photo ID and weigh in on dozens of races on this year’s midterm ballot. Early voting runs through Nov. 2. This is the last year Texans will be able to cast a straight party vote, due to a new law that requires voters to weigh in on each vote individually starting in 2020. But Garcia reminds voters that even if they do vote a straight ticket this year, they still need to look for the bonds and propositions at the end of the ballot. And he encouraged Texans who have yet to cast a ballot to consider voting early. To vote in Texas, a person must be a U.S. citizen, at least 18 by election day, mentally sound and not a convicted felon unless the sentence has been completed, including parole or probation. For new residents in the state, there’s no requirement stipulating how long someone must live here before registering to vote. Election officials suggest voters read over sample ballots that are available online at the Tarrant County elections website before heading to the polls. Texans need to bring a photo ID to the polls with them. The seven state-approved photo IDs: Texas driver’s license, Texas election identification certificate, Texas personal identification card, Texas license to carry a handgun, U.S. military ID card with photo, U.S. citizenship certificate with photo, and U.S. passport. For information about early voting sites, or questions about early voting, contact the Tarrant County Elections Center at 817-831-8683. Early voting for the Nov. 6 general election runs through Nov. 2: 8 a.m. to 5 p.m. Monday through Friday; 7 a.m.-7 p.m. Saturday; 11 a.m.-4 p.m. Sunday; 7 a.m.-7 p.m. Oct. 29-Nov. 2. Tarrant County Elections Center, 2700 Premier St., Fort Worth. This is the main early voting site. Emergency and limited ballots are available there. Benbrook Community Center, 228 San Angelo Ave.
Colleyville City Hall, 100 Main St.
Kennedale Community Center, 316 W. Third St.
Southlake Town Hall, 1400 Main St.